Karate classes for all ages are being offered at the Park Avenue Building in Old Forge on Wed-nes-days from 5 to 8 p.m., beginning September 7. The instructor is Andrew Croniser of Woodgate who has a 5th Degree Black Belt and is a Certified Instructor in Chinese Kenpo Karate. Croniser, who has been teaching karate for 25 years, has also achieved 1st Degree Black Belt in Tae Kwon-Do. He currently teaches karate in Boonville, Barneveld and Marcy and is now expanding into the Old Forge area. A pre-skills class for four- and five-year-olds will begin at 5 p.m. and will run for approximately 35 minutes. A class for 6- to 9-year-olds will follow and run from 45 minutes to an hour. 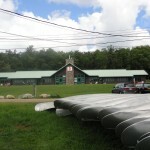 This entry was posted in Columnists and tagged Adirondacks, carol hansen, Columnists, community, events, karate, Old Forge on August 26, 2011 by Carol Hansen. The Muriel Cohen Memory Celebration Golf Benefit, held Monday, August 22 at Thendara Golf Club drew a crowd of 126 golfers. The fundraising event honored the memory of Muriel Cohen, a local golfer and active volunteer who passed away in September 2010. 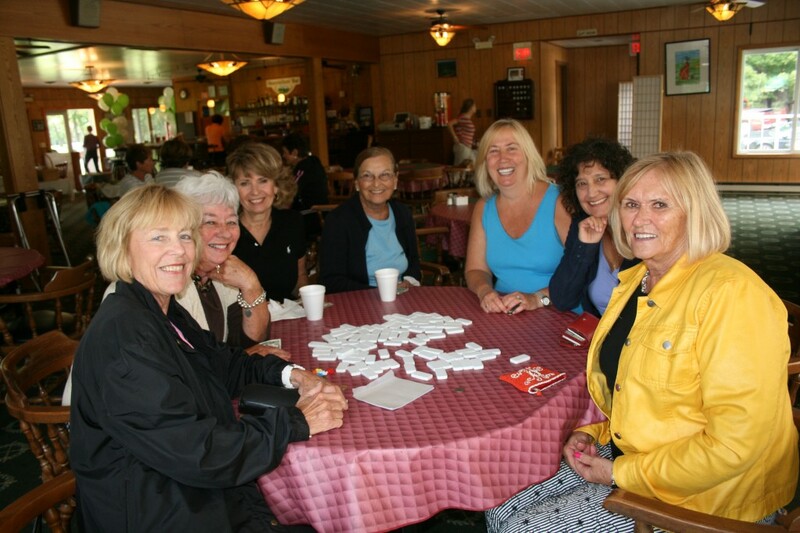 Friends also honored Muriel by participating in activities that she enjoyed, such as dominoes, Canasta, kayaking, and tennis. A buffet lunch and hors d’oeuvres were also included in the day of activities. This entry was posted in Columnists and tagged carol hansen, Columnists, community, events, Golf Club, Muriel Cohen, Thendara on August 26, 2011 by Carol Hansen. 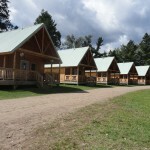 Representatives of Adirondack Architectural Heritage (AARCH) were in the area on Tuesday, August 23 to tour Children’s Camps of the Fourth Lake Region. The tour was led by Hallie Bond, curator of Adirondack Museum’s 2003 exhibit, “A Paradise for Boys and Girls: Children’s Camps in the Adirondacks,” and co-author of the book of the same title. Among those in attendance was Gail Murray, Executive Director of the Town of Webb Historical Association. This entry was posted in Columnists and tagged Adirondack Architectural Heritage, Adirondacks, carol hansen, Columnists, community on August 26, 2011 by Carol Hansen. Since last October, The One Square Mile of Hope 2011(OSM-2011) Committee has been avidly working on its September 24 attempt to break the world record for the most canoes and kayaks assembled in a floating raft. They are seeking to regain Inlet’s place in the Guinness Book of World Records following last summer’s successful feat in Pittsburg, PA.
Would we like to break the Guinness record again and wrest the title from Pittsburgh? Of course we would. But more important is our goal to raise at least $65,000 to donate to “Susan G. Komen For the Cure” to enable continuing breast cancer education and research. 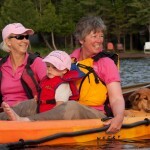 This entry was posted in admin, Columnists and tagged Adirondacks, community, guest contributor, margie O'Hara, one square mile of hope, volunteers on August 26, 2011 by admin. The Otter Lake Community Church is celebrating its 90th season of ministry on Sunday, August 28, the anniversary of its first service. The historic Adirondack Carpenter-Gothic style church, was originally built in Hawkinsville in 1859 by German Lutherans and dedicated in 1861 as St. Trinitus Church. Thirty years later in 1891, the building was abandoned and stood vacant until the spring of 1921 when Roscoe G. Norton, B. A. Capron and W.C. Schaufler secured the vacant building, then had it disassembled, board by board. All of the boards were numbered before transporting them to the current site in 1921, where the church was rebuilt, said Carole Gehrig, Trustee and Committee Chair, who is the great granddaughter of W. C. Schaufler. It was erected on its present site, on land donated by Mr. and Mrs. Roscoe Norton in 1921. This entry was posted in Columnists and tagged Adirondacks, carol hansen, Columnists, community, Otter Lake, otter lake community church on August 26, 2011 by Carol Hansen. The Inlet Historical Society’s newly-published cookbook is now available for purchase at area outlets. 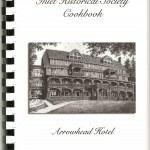 Published by Cookbook Publishers, Inc. of Lenexa, Kansas, the cookbook includes a collection of 300 recipes. Historical Society members Carolyn O’Hara and Kay Carmichael coordinated the project. According to Carolyn, the cookbook was made possible by all those who submitted recipes from Raquette Lake, Inlet, Old Forge, California, Washington D.C., and everywhere in between. This entry was posted in Columnists and tagged Columnists, community, Dana Armington, historical society, Inlet, news on August 26, 2011 by Dana Armington. 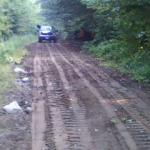 The Adirondack League Club is assisting the New York State Department of Environ-mental Conservation in the repair of Rock Dam Road in the Moose River Plains. Currently, there are two main entrances for the Moose River Plains Road, one near Inlet off of Limekiln Road, and the other at the Wakely Dam Recreational Area located at the end of Cedar River Road. Rock Dam Road is considered a main side road that can be found branching off the side of Moose River Plains Road near Otter Brook Road and Indian Lake Road. The road, which was washed out in places this spring, has been closed to traffic this summer. This entry was posted in Columnists and tagged ALC, Columnists, Dana Armington, DEC, news on August 26, 2011 by Dana Armington.